Arts Tasmania forms part of the Department of Tourism, Parks, Heritage and the Arts. Arts Tasmania encompasses both the Departmental functions of the State arts agency and Secretariat functions for the Tasmanian Arts Advisory Board in its peer assessment and policy development roles. Arts Tasmania has responsibility for the development of integrated policy and planning for arts and culture in Tasmania. A new Tasmania-wide cultural event is on the books - Living Writers Week will replace Living Artists Week in 2006. This year, Living Artists Week showcased more than 700 painters and sculptors in schools, studios, shop fronts and galleries around the state. The acting head of Arts at Work, Lisa Singh, says the change is still in the planning phase. "It will be obviously a different kind of an event," she said. "Living Writers Week will have to take on a different focus but we do have a number of fantastic artists in Tasmania and they are also worth showcasing." Ms Singh says dozens of paintings and sculptures have been sold and new works commissioned during this year's Living Artists Week. "It puts the arts right in the spotlight and brings all kinds of benefits, economically and socially, that flow from that," she said. "Also this has been the quieter period of the year for Tasmania and to have a statewide event exposed during that quieter time of the year I think is a real positive because it gets everyone out no matter how cold it is. This, in the Tasmanian Bicentenary year, is the first in a series of monographs to celebrate the diverse arts community in Tasmania, recognising our artists for their innovation, courage to experiment and commitment to quality. 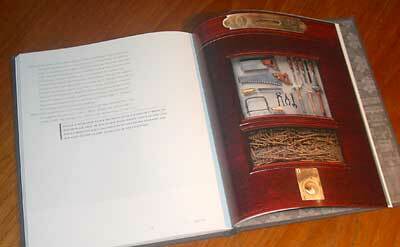 No one looking at this beautifully presented book could fail to recognise that Patrick Hall, artist and cabinet maker, was a superb choice as the first artist to be so honoured, a living treasure of Tasmania. As each page unfolds with photographs of Hall’s individual pieces, Grace Cochrane, senior curator of Australian decorative arts and design at the Powerhouse Museum, Sydney, writes at first of Hall’s life as a German immigrant at the age of eight, his schooling at Rosney College, Hobart and subsequent graudation as a Bachelor of Fine Arts (Design & Printmaking) from the Centre for the Arts, University of Tasmania, in 1986. She then takes us further into the world of this exceptional artist to explore the emotions and thinking that lay behind his choice of materials and symbols. Apart from immersing ourselves over the design and detail, we can also savour in the text some of the words that Patrick Hall has inscribed on the shelves and doors of some of his pieces. They read like poetry, another reason to enjoy the summation of different elements of artistry that this book brings together. Starting in 1997, the partnership between Arts Tasmania and the Parks and Wildlife Service Tasmania has proved a brilliant success. Artists from many backgrounds, including painters, printmakers, sculptors, poets, composers, musicians, children’s writers and photographers, have experienced living and working in close proximity to the wilderness and heritage of Tasmania. From wild oceans and billowing sand dunes to shaded, moss-hung, ancient rainforests, from imposing mountain peaks and sheer-dropping sea cliffs to fragile alpine moorland and serene solitary stretches of lake and shoreline, Tasmania’s scenic diversity is a continual source of inspiration. 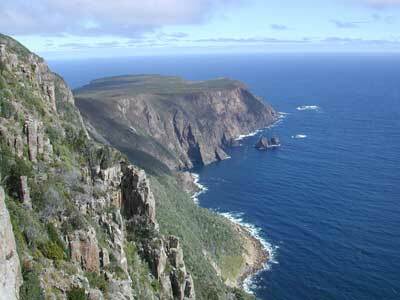 National parks, many World Heritage listed, cover a quarter of the island state. Here are wild rivers and clear glacial lakes, a tumult of rock shapes, soaring dolorite columns, gorges, caves, islands and waterfalls. Here can be found stories rich with our past, a history that goes back many thousands of years. In celebration of Tasmania’s unique blending of wilderness and mankind, the Arts Tasmania and Parks and Wildlife Service Tasmania partnership offers Natural and Cultural Residencies for artists to develop their own unique works and to tell their stories as they explore remote corners of the Tasmanian landscape. Through the Natural and Cultural Residency program, artists are given the oppportunity to spend up to eight weeks working in some of Tasmania’s most spectacular locations. They have opportunities to access Aboriginal and European heritage sites, to explore ship wrecks, observe the fragile and colourful native flora and our abundant wildlife from the lively little Tasmanian devil to the stately Forester kangaroo. 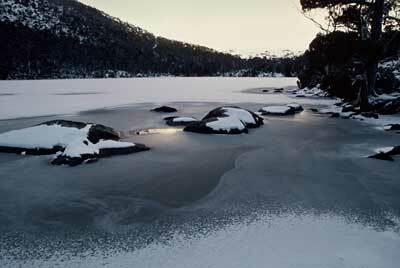 Residencies are located in sites of ecological and/or cultural significance, generally within Tasmania’s designated parks. Participating artists should be comfortable with the idea of living and working in relative isolation, although acccommodation, with studio, is provided and adminstered by Parks and Wildlife staff. Dwellings vary according to location; most are fairly basic, and artists wishing to apply are advised to do some research beforehand. As many of the locations are known for swift changes in weather patterns, residents should ensure they have adequate clothing and be mentally prepared for the extremes of weather that occur in Tasmania’s national parks. Residencies are available from April to October each year. On-ground support and assistance can be provided in many ways, however, residents are responsible for all their food, other supplies and bed linen. A small rental fee is applicable to each residency, while reliable personal transport is essential. Also essential — sensitivity and respect towards the environment. It’s important that no materials or methods are used that might damage the natural environment or the accommodation. Tasmanian residents are eligible to apply to Arts Tasmania through the annual Arts Grants and Loans program for assistance with funding of up to $5,000 for residencies. The application should present the perceived value of this unique opportunity to further the professional development of the artist’s work. Artists living outside Tasmania are also considered for Natural and Cultural residency programs. Please contact Arts Tasmania for discuss the requirements for a proposal as places are limited. Arts organisations from outside Tasmania interested in developing an artists exchange program with Arts Tasmania and the Natural and Cultural residency program should contact Arts Tasmania.